I really like this one! 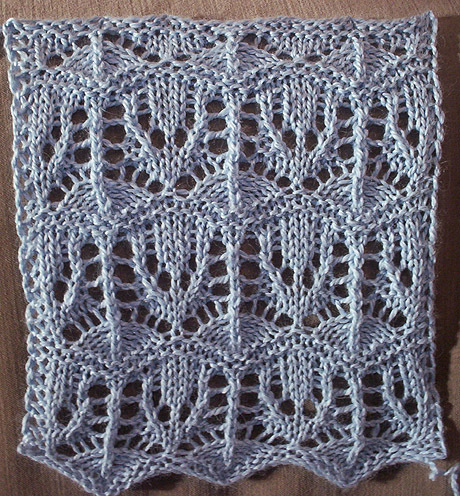 Your knitting really shows off this pattern’s potential! I love this! Your swatch is really beautiful. next shawl is going to be out of this. I ignored it in the book, but here it is really shown off. Wow, that is gorgeous! I flipped right past it in the book, but it’s beautiful in your picture. It so is–what a pretty color of yarn, too. I paid no attention to it in the book but this is really beautiful and I plan to use it for a scarf.